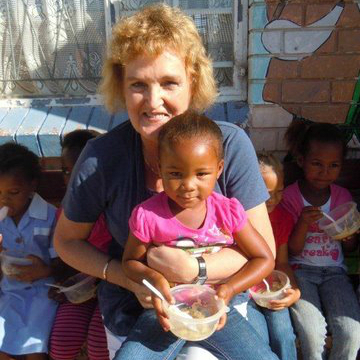 One of our trustees recently visited the Little Hearts Edu-Care. This is one of the many schools which benefit from both the provision of e’Pap and the personal contact with a nominated volunteer who delivers the e’Pap. This crèche is housed in a very simple two room structure with a small kitchen. This was built by 3 sisters Kathleen, Miranda and Yolandi, with the help of their father. 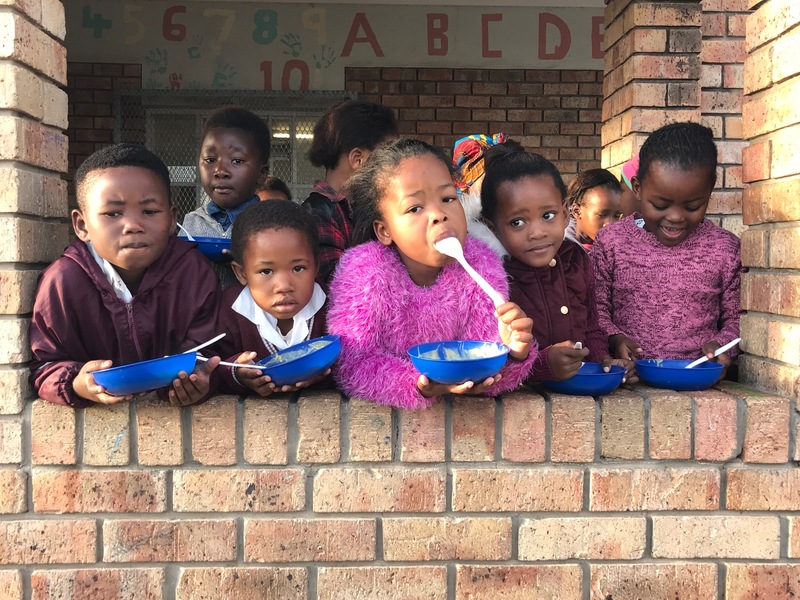 The creche is run by the sisters and provides pre-school care and education to children who might otherwise have missed out. 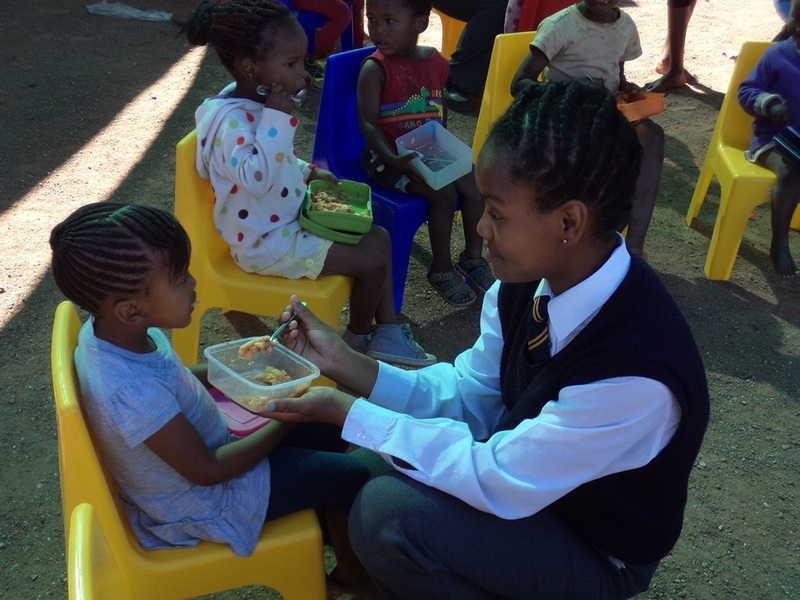 The GRCT helps to fund an e’Pap breakfast each school day for the children. The benefit of the relationship with the e’Pap volunteer is twofold. Firstly, a bridge is built between those who might not otherwise get to know each other. Secondly, the volunteer will often become aware of other needs and concerns. As a result, mattresses have been provided to a number of schools for the children to nap on rather than having to nap on the cold, hard floor.